Having just turned 21, I have reached one of them pivotal milestones. 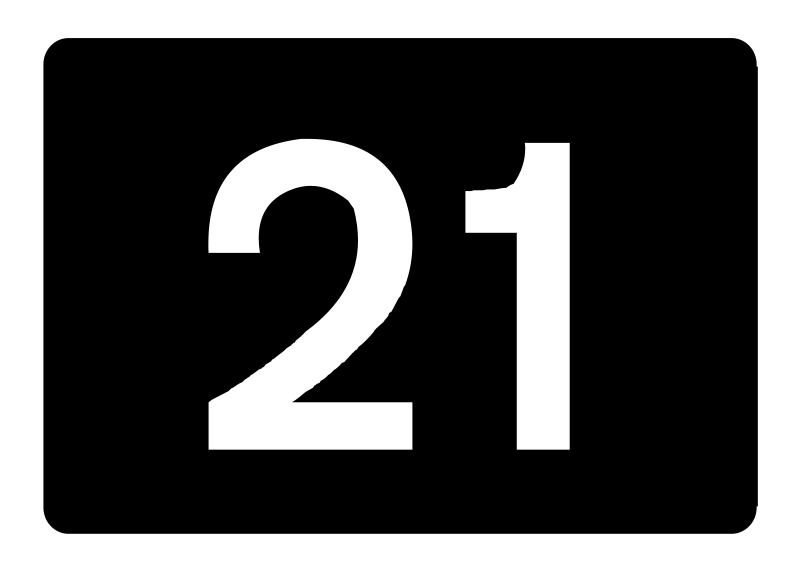 I’m no longer occupying the ambiguous ‘20’ title, instead 21 seems to mark the beginning of adulthood… Unless you believe science then that apparently starts at 30, but anyway, entering adult life is becoming a bigger and more real prospect every. single. day. So, following in the steps of Taylor Swift, I have decided to compile a list of things I have learned in my time being 21 years young. Here’s 21 things I’ve learned in 21 years: university edition. Surrounding yourself with positivity is one of the best decisions you can make. This seems so simple, but in reality, making choices to benefit ourselves is a thing that people often regard as being selfish or ruthless. Is one of your friends being toxic? Cut them out rather than keeping them close for convenience or fear of being lonely. Are your social media feeds making you insecure or overwhelmed? Delete them or cleanse your timelines. Making cuts shouldn’t be seen as being selfish, but rather an act of care. Asking for help isn’t a sign of weakness or a source of shame. Whether it be related to your studies, health or even about how to navigate the launderette, asking for help is an act of courage. The relationships made at university can be some of the strongest relationships you have… but at the same time, moving to university doesn’t mean that your friendships at home should suffer. Besides, nothing tests a relationship more than distance. Parents are lowkey the best people on the planet. As much as you may hate to admit it, the things your parents lectured you about when you were a teenager are now harking true. From the heartburn inducing tendencies of eating a whole birthday cake for dinner to the importance of not putting woolly jumpers in the tumble dryer. They’ve been there and done that, listen to them. Varsity is more stressful than exam period… Especially ice hockey. Honestly, forget about going to a HIIT class to raise your heart rate, buy yourself a varsity ticket and watch it go through the roof. A dressing gown is the most important creation in the history of fashion. As well as being a source of immense comfort, dressing gowns are staples in communal living situations. From preserving your dignity when you’ve forgotten your towel after a shower to keeping you warm when your heating budget is next to nothing, a dressing gown is the real MVP here. The comfort of settling isn’t as a good as the effort needed to excel and succeed. In first year the motto seems to be ‘40% is a pass’, in second year it is ‘60% is all I need’. As a result, this temptation to rack up scores close to these benchmarks is more than salient. However, there’s no point being a mountain-goat in the grand scheme of things. Sure it may safe you a lot of stress, but the feelings of success having tried your hardest is something that you can’t beat. Doing what everyone else is doing isn’t all it’s cracked out to be. Going along with the crowd is an easy thing to do. However, there’s a reason why we’re humans and not sheep, we are not all meant to follow the same herd. Next time you decide to go out for the fourth night on the trot or sack off doing the essay that’s due in a week, question whether it’s something that you really want to do. Everyone has their own paths in life. Some of us achieve our goals before others, so stop comparing yourself to the achievements of others. You’ll get where you want to be eventually, it doesn’t matter how or when. No one has ever regretted a workout or a run. Putting on a pair of trainers and engaging in some form of exercise seems to be one of life’s hardships as you contemplate staying in and watching Friends for the fiftieth time. However, come the end of the workout, the endorphins in your body have you realising that exercising isn’t that bad at all, and is in fact mentally and physically beneficial. Change won’t happen unless you initiate it. Unless you have some superhero ability and can magically make work happen just by staring at a Microsoft Word document, chances are nothing will happen if you don’t actually put your fingers to them keys. This applies to other things to – there’s no point wishing for things to come to you unless you are proactive about making them happen. Nothing brings a student body closer together than a missing cat. I have never seen students united for a cause more than when Bertie went missing from the library. Passion can form in the weirdest of places. Me time is not time wasted. You may think that taking time out of your days writing endless essays to have a walk, make a nice meal or even have a bath are forms of procrastination, but time away from work is time needed. You’ll go back to your work zone feeling reenergised, you’ll have more clarity and your productivity is likely to increase. A good playlist can make anything better. It’s the small things that have the biggest impact. The future starts now. From getting careers advice to gaining new skills, there’s a reason why the university is dedicated to your employability. The decisions you make today will have an impact on the decisions you can and will make in the future. Your choice of library says something about you as a person: Hallward means serious business; George Green represents an attempt to mix work with pleasure; Jubilee is there for anyone in need of a sense of escapism. Adulthood is not a destination. Before university I naively thought that come graduation I would have it all figured out. You know, I’d have a five-year plan under the belt and know exactly how I was going to make my dreams come true. However, being at uni, especially this close to graduation, has made me realise that no one really has their lives figured out and that’s fine. Mistakes are there to be made so stop trying to be perfect. This life is your life, so you do you. It’s ironic that this point kind of undermines the whole purpose of this post, but it is important nonetheless… just life your life, take risks, be happy, kind and healthy.